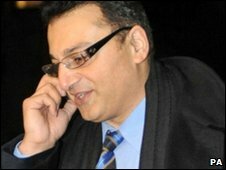 A web designer has described how police commander Ali Dizaei challenged him to fight during a row over £600. Southwark Crown Court heard Mr Dizaei, 47, rowed with Waad Al-Baghdadi when he demanded payment for work on a website. Mr Al-Baghdadi, 24, said he was left "scared" and "shocked" when the "muscly and bigger" man challenged him near a restaurant in Kensington, west London. Mr Dizaei denies assault, false arrest, misconduct in public office and perverting the course of justice. The court heard a dispute between the men came to a head in July 2008 when Mr Al-Baghdadi demanded payment from Britain's most senior Asian officer for work on his personal website, alidizaei.com. A fortnight's work on the site was said to have stretched for months as Mr Dizaei sent the designer a stream of new speeches, photographs and articles mentioning him to be uploaded. Mr Al-Baghdadi, an Iraqi national in the UK since 2003, told the court he confronted the police officer after seeing him drunk and dancing at the Persian Yas restaurant in Edgware Road. He said: "He told me, 'do not talk in front of my wife like this', in a very aggressive way. Mr al-Baghdadi continued: "I was shocked - I did not know what to do. "If I fight, I will go to jail because he is a police officer." The designer said he returned to the restaurant in an attempt to defuse the row, only to be confronted by Mr Dizaei once more. 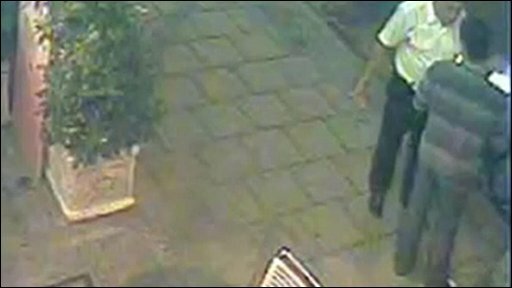 At that point he left and called 999 to complain about the officer, only for Mr Dizaei to appear with handcuffs, interrupt the call and arrest him. Mr Al-Baghdadi could be heard complaining in Persian that his arm or hand may break, the prosecution said. But after the incident Mr Dizaei showed a doctor at the police station injuries to his abdomen that the doctor said were likely to be self-inflicted. He claimed to have been stabbed in the stomach by the end of a traditional 'hookah' water-pipe. The prosecutor has also said Mr Dizaei claimed to have received threatening voicemails and text messages from Mr Al-Baghdadi before the incident, but had "accidentally" deleted them. Mr Dizaei, a former president of the National Black Police Association, was prosecuted following an investigation by the Independent Police Complaints Commission.